The Birmingham Post Business Awards is proud to welcome back JLT Speciality as one of our most loyal sponsors. The specialist insurance broker is the official sponsor of the drinks reception at our black tie ceremony at the ICC. A global company based in 135 different countries, JLT Speciality’s base in Birmingham provides expertise in key industry sectors including; construction, manufacturing and engineering, food and agriculture, motor fleet and mergers and acquisitions. This is the third year in which the firm of specialist risk advisers and insurance brokers have sponsored the drinks reception at our business awards. Judges are currently selecting the shortlist from a raft of top-rated entries from businesses from across Birmingham with the overall winners being revealed at the black tie ceremony on Thursday, November 1. 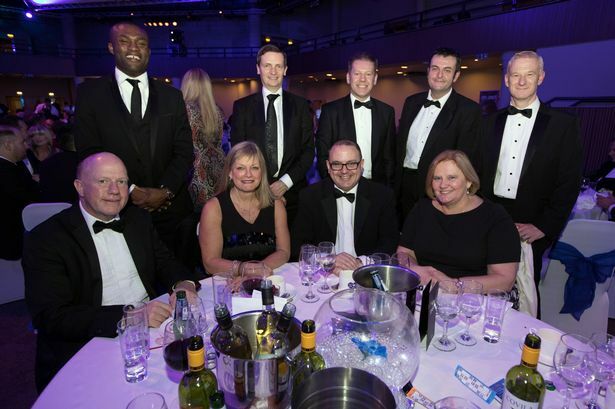 Sally Swan, Head of Midlands UK Retail, said: “This will be our third year sponsoring the drinks reception at the Birmingham Post Business Awards. Being involved again in this way allows JLT Specialty to demonstrate its support and commitment to the Birmingham business community. “We are involved in a number of initiatives each year, including our annual charity quiz night which sees teams from the professional community coming together to compete whilst raising money for our charity. JLT Speciality was created in 1997 from the merger between Jardine Insurance Brokers plc and Lloyd Thompson Group plc. The firm is extremely active in the various regions they call home, whether it be in Asia, the Middle East or Canada. As sponsors of the drinks awards at our business awards for the third year they are once again putting themselves at the beating heart of Birmingham’s business community.